Hi friends! 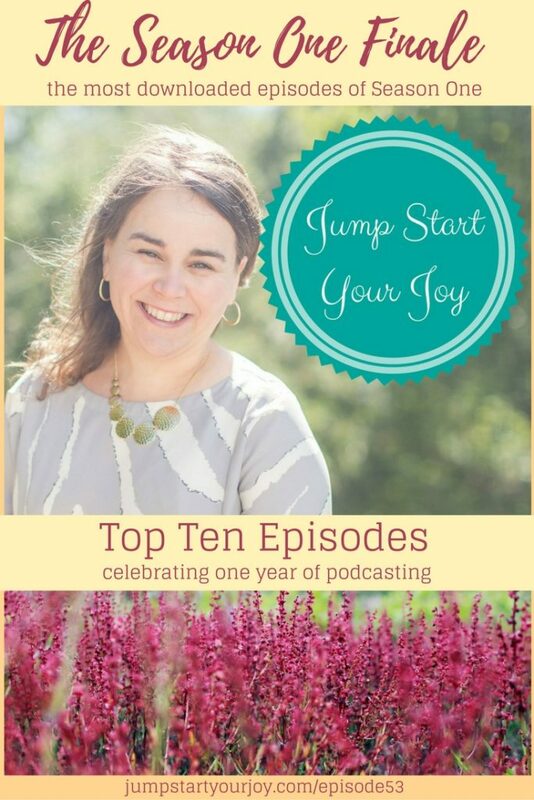 Welcome to Jump Start Your Joy’s Top 10 of Season One. Last week, as part one of the season finale, I shared some of the most memorable moments of the last 52 weeks. This week, I’m sharing the most downloaded episodes, and sharing what made them really special. Many of the guests sent an update on “What joy has looked like for them” since we last spoke. The result is a fun, heartfelt, joyful finale to a year that has been life changing for me. I decided to share the top 9 in the order that they aired (starting with episode 1! ), and then I shared the most downloaded episode at the very end of the list. Below you will find the episode number, and guest name, along with a link to the full original episode, you know, if you want to go back and listen 🙂 If you’d like to see the FULL archive of all episodes, you can see that bad boy here by clicking here. Kathleen is ordained in the Presbyterian Church, and currently a Pastor at Community of the Servant-Savior Church in Houston, Texas. She’s passionate about spreading the word of God, based on inclusion, acceptance, and radical love. She shared about how she’s become involved with social justice, and how she sees the Church’s role in racial and marriage equality. She was recently in the Houston Chronicle, and you can listen to the entire original episode with Kathleen here. Matthew is the voice of General Grievous in the Star Wars franchise, and he’s also the supervising sound editor for The Force Awakens (he got an academy award nomination this year! ), Wall*E, and There Will Be Blood, along with a long list of others. He does the voice acting for the battle droids throughout Star Wars. What I loved about our interview was how Matt was cast as Grievous, and, his take on how to jump start your joy. His response was poetic and philosophical, and simply blew me away. Go listen to the whole episode by clicking here. Molly is a life coach and psychiatric nurse and we had an immediate rapport. She shared about loving kindness, and we got our nerd on talking about Byron Katie, and the impact of painful thoughts on our daily reality. It was a joy to hear from Molly again, and to hear her thoughts on joy as a practice; she shared a new audio recording just for this finale. You can hear the original episode by clicking here. 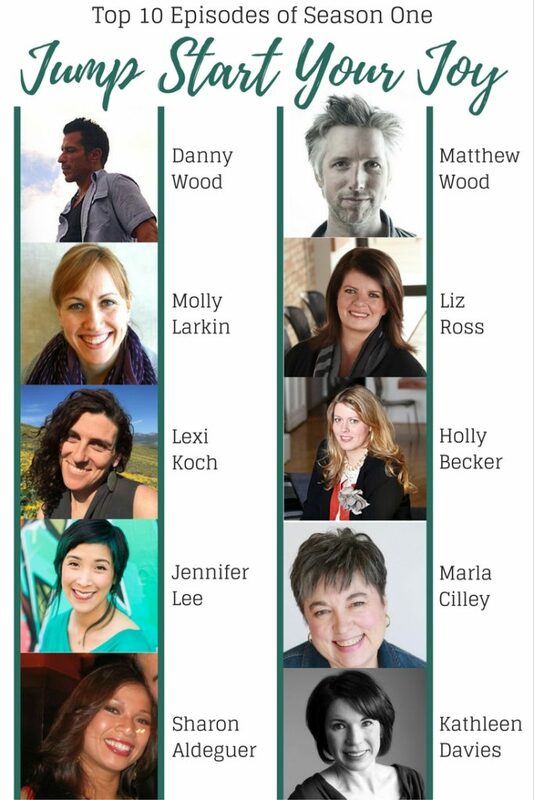 Liz is the CEO of Periscope Agency in Minneapolis, Minnesota. She’s a heartfelt leader who puts people first, and the result is teams who turn out top notch creative work, and, who enjoy what they do. Since our episode aired, Liz had twin daughters in April, and she shares her thoughts on having three children under the age of three, and how presence and giving remain the key to joy. You can listen to our original discussion by clicking here. Lexi is a life coach, flower farmer, mother, and former yoga instructor. We talked about how her life changed and shifted with the birth of her son, and his diagnosis of Cystic Fibrosis at just two weeks old. Her strength and spirit shines through, and I’m honored to share the update she provided in a new audio recording about the new things on her horizon. Listen to the original episode here. Holly is the creator of the blog decor8, the author of four books, and the founder of “Blogging Your Way.” It was such a treat to have her on the show, and to have her share her wisdom around finding your voice. 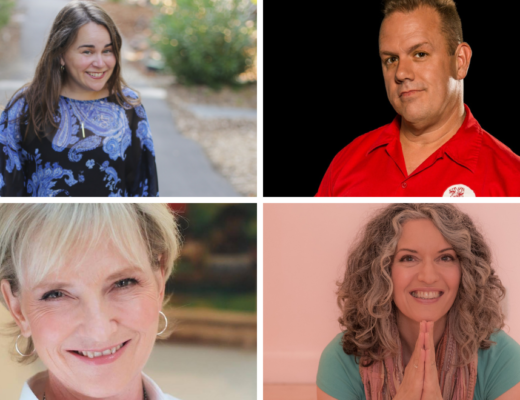 It can be hard to find your niche and your purpose, and Holly’s positive spirit and the classes she’s created really help to celebrate our uniquity. I loved revisiting her words on finding your voice in this episode. You can hear our original discussion in Episode 36. 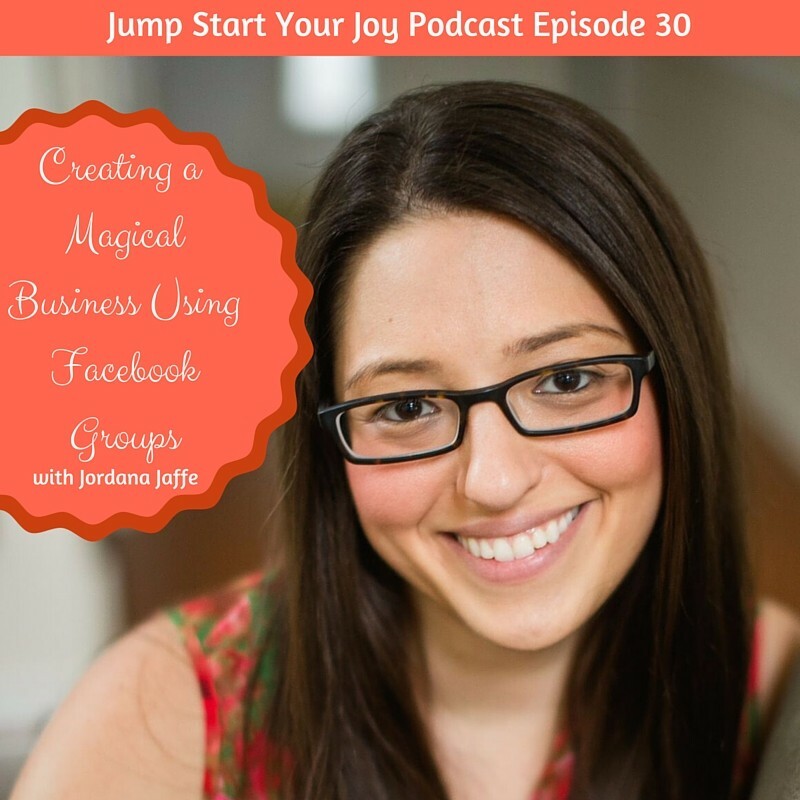 Jennifer has an amazing presence and calm about her, and, she breaks down business strategy in a way that really honors and respects the entrepreneur and their business. Her journey of leaving corporate America is inspiring, and she’s celebrating 10 years in business this year. 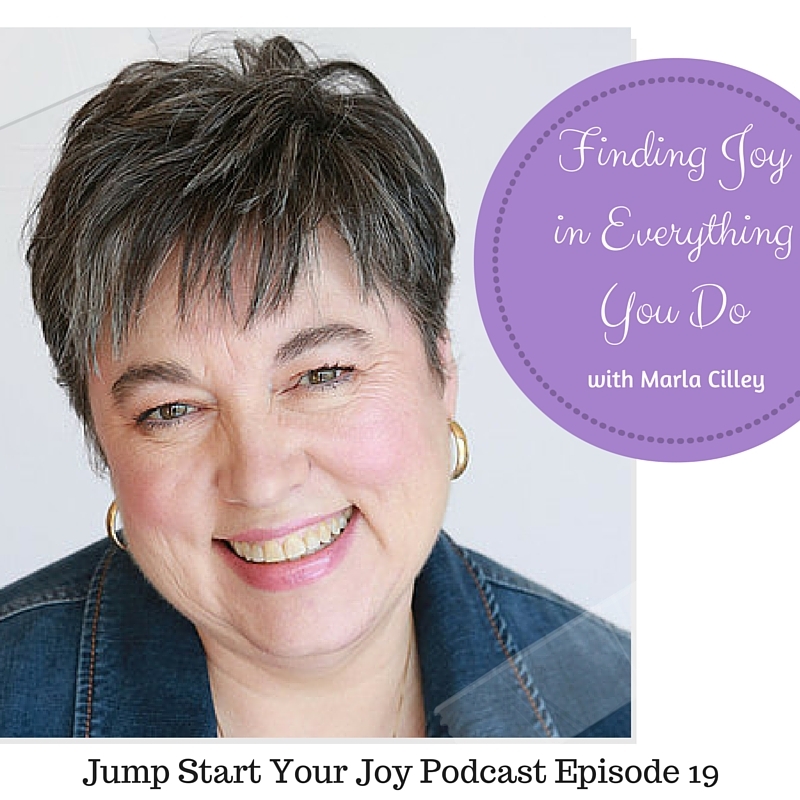 Jennifer shared a sound clip with me for the finale, and she’s talking about some of the ways she’s been incorporating joy into her life since we talked in April. You can listen to Episode 38 here. Sharon is a former finance and accounting specialist, turned entrepreneur, body builder, and creative technologist. Several years ago, she was diagnosed with a brain tumor and had surgery to have it removed. Her recovery included relearning to walk, and working through nerve damage. Sharon’s outlook and her determination to live her bucket list are what shine through; she’s a powerhouse of inspiration and I’m honored that she agreed to share her story on the show. She sent over a sound clip to share on the finale, which is filled with her infectious upbeat nature. You can hear the original interview on Episode 45, just click here. Marla Cilley runs the popular site, Flylady.net where she teaches people to have fun while cleaning their home and tackling domestic tasks. While that *might* sound simple, what she’s actually teaching is how to overcome perfectionism, get rid of “Stinkin’ Thinkin'” and how to finally love yourself. She’s warm and interesting, transparent and caring, and she’s the only person I’ve had on the show 3 times to date. It was a pleasure to have her return for Episode 46 (click here to listen), where she talked about habits and routines, and how to get into project mode. 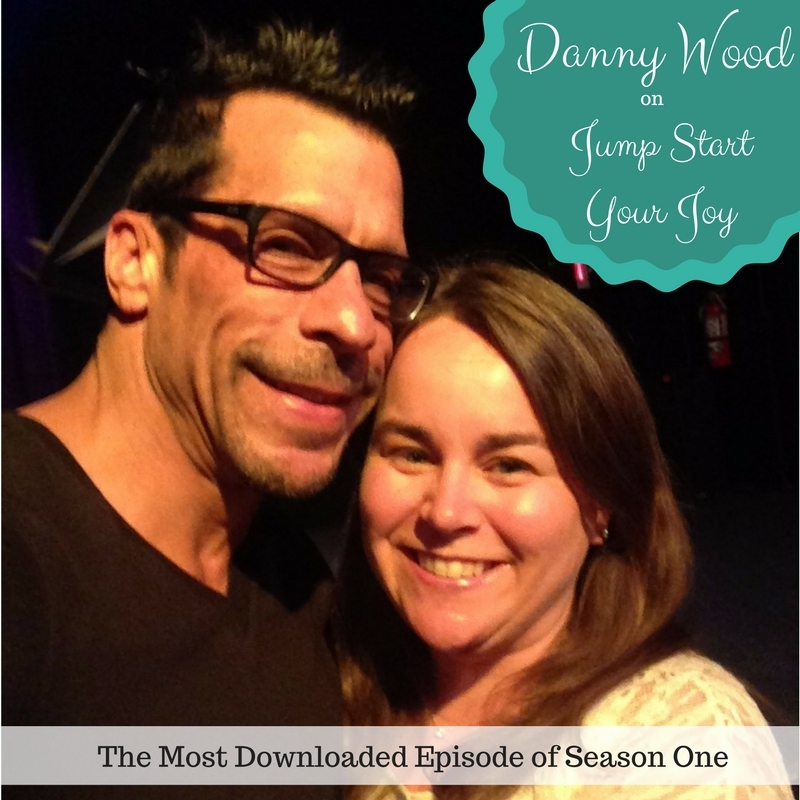 Everything about the episode with Danny Wood was simply magical. I feel extremely lucky and fortunate to have spoken to him, and it was really special to hear him speak about his mother, Betty. Betty passed away in 1989 due to breast cancer, and Danny has since started a foundation in her honor, Remember Betty. He also released an album this year inspired by everything she’s taught him. What shined through in our interview was his big heart, and his deep sense of family, which extends beyond his daughters and sons, beyond the New Kids, and out to his fans (known far and wide as Blockheads). It was really special speaking to him, and special getting to speak to his fans, too, who I asked to call in and share how Danny inspired them. The icing on the cake was getting to meet him at “Solo Wood” (his tour for the album), and then getting to chat with him about his updates – he’s found joy this year by continuing to raise money for breast cancer survivors, he’s thrilled to have announced more dates for his tour, and he’s and NKOTB have a lot more in store for the fans. #BHlove Click here to listen to the entire interview, in episode 20. And there you have it. The most downloaded episodes of the year. Thank you all for listening, for commenting, and for being an amazing audience. Until next week, when Season 2 kicks off, I hope that your days are filled with SO. MUCH. JOY.